Ellie Coulding is basically Carrie. Sans pigs blood. 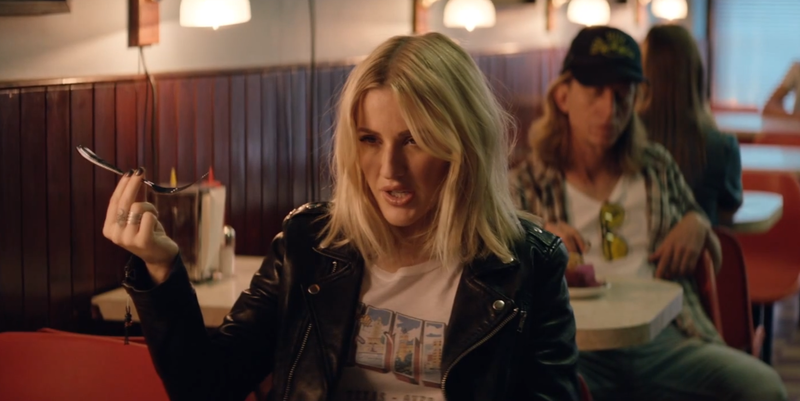 Major Lazer and Ellie Goulding's collaboration for last month's Peace Is The Mission finally got a music video and, boy is it powerful. The singer plays a diner patron with powers of telekinesis. It's all very on-the-nose. Ellie and Tarrus Riley both wield immense power in the video (which they use pretty irresponsibly). Directed by James Slater, the super charged single has an extra element of excitement as both unleash their abilities on unsuspecting customers.